Composite doors combine high performance features with great designs, making them the entrance doors of choice for lots of homeowners. At Frame Fast, we manufacture an impressive range of composite doors in 30 different traditional and contemporary door styles and more than 30 colour options, creating unique doors for every property. Frame Fast composite doors feature high security, multi-point locking as standard. Security is also enhanced by the door’s rigid polymer subframe and high impact resistant GRP skin. A high density insulated core offers better thermal performance and superior weather seals keep out the wind and rain. 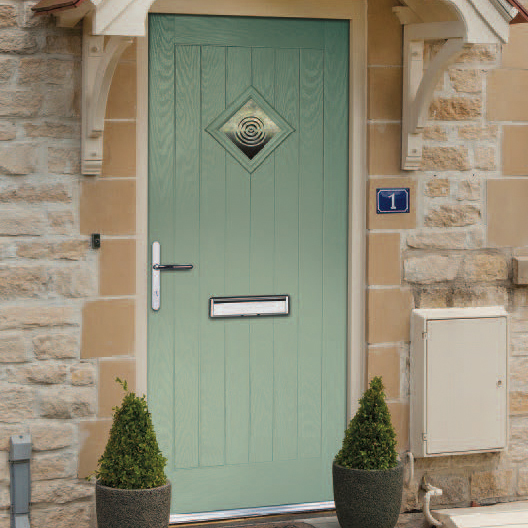 Add a touch of classic style to any property with our range of traditional composite door designs. Whether installed in a Victorian home, a chocolate-box style cottage or a modern townhouse, our traditional composite doors fit perfectly. The classic design and wood-grain effect replicates the popular timber door styles, creating a stunning entrance to any property. There’s a huge range of door styles, colours and glass options to choose from, including our decorative glass. 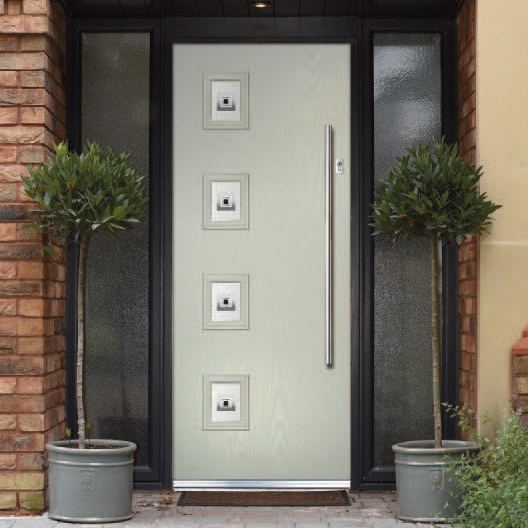 Make a statement with our range of contemporary composite doors. 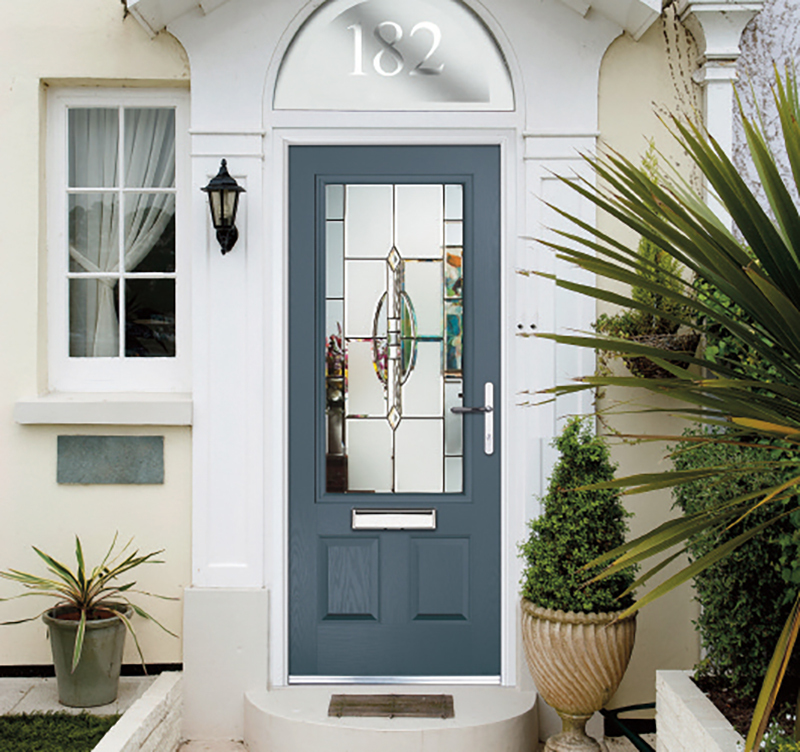 Your customers can choose from either a flush or cottage slab, with an exclusive selection of decorative glass options to complement the sleek designs of the entrance door. Our popular and premium colour options have been designed to help you create the perfect composite door colour palette, from muted heritage shades to bolder vibrant options, there are colours to suit any property. If you would like a more bespoke colour option, you can choose from any RAL or Farrow & Ball colour for your composite door. give your customer all the keys they want when you fit their new door. Ask for extra keys when you order any Composite or PVCu entrance door. Our composite doors are designed and manufactured to provide a highly thermally efficient entrance door. 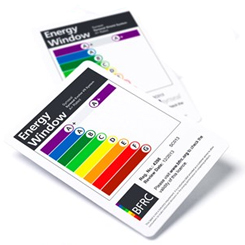 A U-value of 1.5W/m2K can be achieved with standard double glazed warm edge glass units. A range of stylish door handles, letterplates, door knockers and numerals in a range of colour options are available to suit your door design. 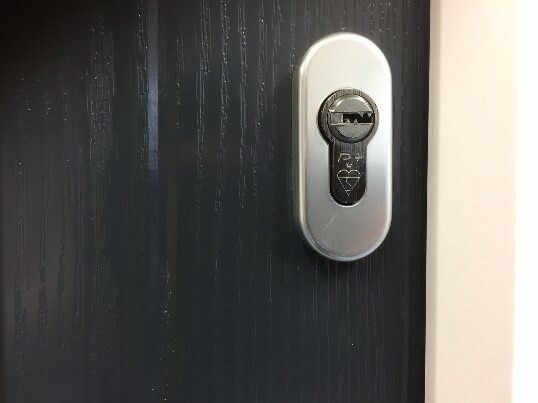 For our pull handle and traditional rim-lock composite door range we offer a slam lock function as an alternative to the standard handle lift design. 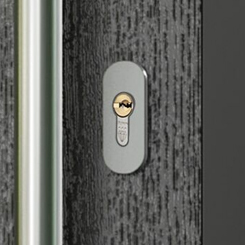 The slam lock works by activating the multipoint locking mechanism when the door is pulled closed. Pioneer Plus Security System is standard on all composite and PVCu entrance doors. With Frame Fast’s Priority Key Cutting Service you can order extra Pioneer Plus keys when you order a door, saving your customers time and money. 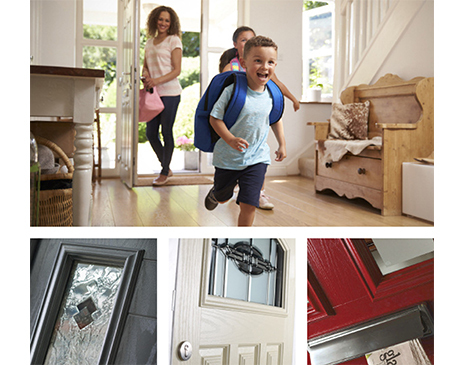 Download your free Composite door brochure, here you’ll find a whole range of colours, hardware options and lots more.